A reliable source for semiconductors, passives, software, hardware, tools and equipment for import and export. 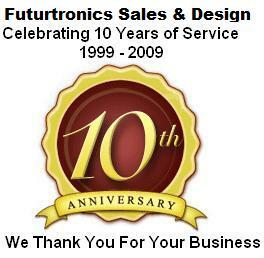 As well as Industrial Computers, Embedded PC Systems, Rackmount PCs, and "Long Production Life" Systems of all types. Legacy PCs are a specialty. Warning: large video file (30MB), high-speed broadband only! We also supply premium quality industrial computer chassis, rackmount chassis, wall mount cases, Mini-ITX and disk array chassis. We have over 20 years of experience selling and exporting to customers in Brazil and throughout Latin and South America. We can help you with your sourcing and any "Bill of Materials" requirements; as well as consolidating all your purchases and sending them to the freight forwarder of your choice anywhere in the USA. We can also ship directly to you via Federal Express, UPS, or DHL. Our customers are OEM's in the bank automation, telecommunications, computer manufacturing industries, as well as local manufacturers and resellers. We are very knowledgeable of all U.S. Export laws as well as Brazilian import laws so we can make sure that your shipment will be shipped correctly and received without delays due to incorrect documentation. Our staff speaks English, Portuguese and Spanish.